Today’s coaching video is all about working the plate. When the hitter is establishing his hitting stance, one of the most important things for him is the distance from the plate. 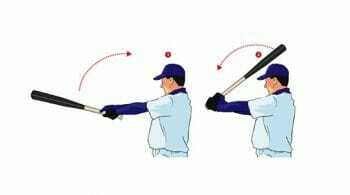 A great way to ensure you are a good distance from the plate and have good plate coverage, lean over and be sure you can touch the bat to the outside corner. That is the first and most important thing when you consider a basic hitting stance and distance from the plate. Of course, that distance can then vary throughout the game, depending upon how hard or soft the pitcher is throwing. A harder thrower may take us to an adjustment towards the back of the box. Where as a softer thrower may make us adjust a little more to the upper part of the box. 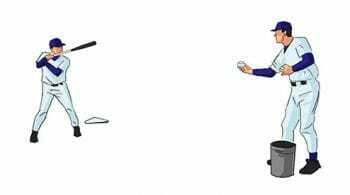 There’s also the theory that if a hitter wants the ball thrown inside to him that he might get on top of the plate a little bit more, challenging the pitcher to come to him on the inside part of the plate. Or the opposite idea of moving a little further away from the plate less the pitcher thinking that the hitter can’t get to the outside pitch, and that’s exactly what the hitter wants in this case. Do you have other hitting stance secrets that work well for you? Share them below! Be sure to check out the Baseball Inner Circle, where you can get more great hitting stance tips, along with a wealth of other drill ideas, all with video demonstrations! And don’t forget to “Like” Us on Facebook! 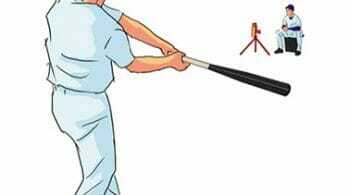 1 Response to "Hitting Stance: Working the Plate"
Most coaches dont go over this part of hitting. Good refresher for me.